Back Rionach at 14/1 to Win the BMW Mile with Paddy Power. Next week’s Galway Festival is often the highlight of the summer season meeting wise in Ireland and is a major horse racing betting event. With a combination of handicaps, including the two feature races of the week over jumps the Galway Plate and Galway Hurdle mixed in among useful maidens, novice and beginners contests on the Flat and over jumps the 2018 version promises to be a hotly contested meeting. Dermot Weld has traditionally dominated this fixture but his focus in recent times has very much been on the Flat and he should again saddle multiple winners from his powerful yard if all goes to plan. 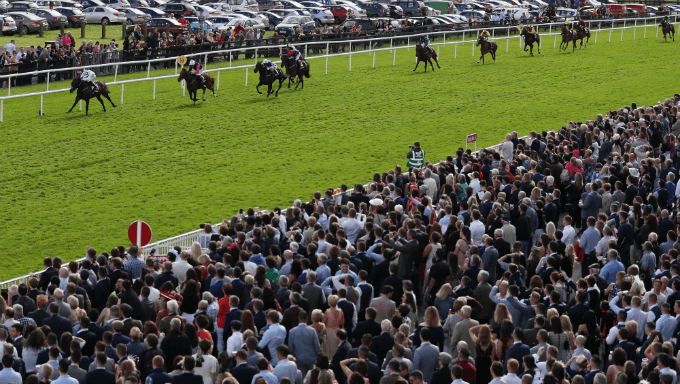 Tuesday’s BMW Mile is one of the Flat highlights of the week and in Rionach (14/1 at Paddy Power) up and coming trainer Michael O’Callaghan looks to hold strong claims of registering a success in the valuable handicap. Rionach is unbeaten in two starts on turf this season and appeared to relish the step up to this one mile trip when winning on good ground at Killarney last time out. The selection remains unexposed and open to improvement and with that in mind he looks to hold strong claims of making a winning handicap debut in Tuesday’s feature. High class individuals have dominated Wednesday’s Galway Plate race in recent years with subsequent multiple Grade 1 winner Carlingford Lough taking the 2013 renewal and fellow Grade 1 winner Road To Riches following up twelve months later. While the 2015 and 2016 winners hadn’t won at the highest level prior to the big race, nor subsequently, both had useful form in Graded company. Last year’s winner Balko Des Flos went on to record his first victory at the top level by taking the Ryanair Chase at Cheltenham last March. Trainer Henry De Bromhead has won this twice in the last three years and may be the man to supply the 2018 winner given his stable are in flying form with a 26% strike-rate (8/31) at the time of writing. His main contender this time around would appear to be the six-year-old Calino D’Airy (16/1 at Coral), a relatively inexperienced individual having had just nine career starts with five coming over fences. The son of Anzillero has won two of those five starts however, with both victories coming over 2m2f here last October. The selection put a couple of indifferent performances behind him when finishing third in a Grade 1 novice contest over 2m4f at Aintree in April and he may well have finished closer to the winner Finian’s Oscar but for hitting the final fence. Owners Gigginstown House Stud look likely to have a strong hand going into the contest as has been the case in many big handicap chases in Ireland in recent seasons and in Canzillero D’Airy they have a young, improving individual. Davids Charm (16/1 at Bet365) looks to be a leading contender for Thursday’s Galway Hurdle. The selection has shown a liking for this venue when winning a 2m5f handicap hurdle at this meeting last year when wearing a hood for the first time. The large field appeared to suit on that occasion as it did when winning over 2m4f at Listowel two months earlier. Interestingly both of those victories came in first time headgear with cheekpieces worn at Listowel and a hood for his victory at this venue. The hood was again in place when the selection was victorious on soft ground dropping back to 2m at Fairyhouse in December and while he hasn’t been seen over hurdles since he has had a couple of outings in maiden company on the Flat in preparation for this contest. The most recent of those efforts came when finishing third in a 1m7f contest held on good-to-firm going at Leopardstown earlier this month. Notably the hood was left off for that Leopardstown effort and it will be interesting to see if that or the cheekpieces absent since the Listowel victory return. The ground will be less of a factor to him than most of his rivals and with leading jockey Rachael Blackmore expected to take the ride as she has done for the seven-year-old’s two most recent appearances he looks set to play a leading role. The presence of a couple of British raiders in the race adds an extra dimension to it and the money in recent days has been for Leoncavallo who made a winning debut for trainer Dr Richard Newland when victorious on good ground at Ludlow in May. Similar conditions look likely here bettors should bear him in mind as a part of their strategy.